The Royal International Air Tattoo’s celebrations marking the 70th anniversary of the United States Air Force at RAF Fairford on July 14-16 will feature a special ‘then and now’ formation of American fighter aircraft, as a North American P-51D Mustang from the Second World War teams up with a present-day Lockheed Martin F-22A Raptor. This USAF Heritage Flight display will involve a P-51D visiting from the United States and flown by leading US warbird pilot Dan Friedkin. 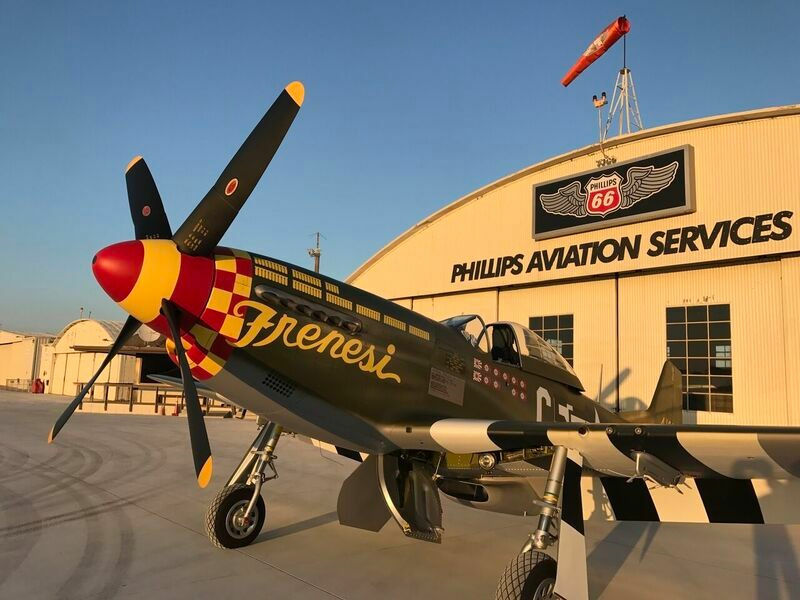 Provided by Comanche Fighters of Houston, Texas, the Mustang in question is named Frenesi and only emerged from a 12-year restoration earlier this year. Built in 1944 as an F-6K reconnaissance variant, the aircraft was only on US Army Air Force strength for a short time before being deemed surplus to requirements during 1946. It spent a period in civilian hands prior to 30 years’ service, from 1954-84, with the Dominican Air Force. Back in the US as a preserved warbird, the Mustang was active again by 1990, and painted as 357th Fighter Group aircraft Frenesi (named after a wartime song of that title, popularised by legendary US band leader and clarinettist Artie Shaw). It has been returned to those markings following its recent restoration for Comanche Fighters by Midwest Aero Restorations of Danville, Illinois. The original Frenesi was the mount of Lt Col Thomas Hayes, who flew Curtiss P-40s and Bell P-400s in the Pacific theatre before being deployed to Britain with the 357th Fighter Group and stationed at Leiston, Suffolk. Hayes scored eight-and-a-half aerial victories in combat, two in the Pacific and the remainder over Europe. He chose the name Frenesi for his P-51D as the song was a favourite of his and his wife’s. The USAF Heritage Flight programme was established 20 years ago to mark the air force’s 50th anniversary. Its displays bring together civilian-owned warbirds and modern military aircraft. RIAT 2017 will feature the sole Heritage Flight performance in Britain this year. The F-22 accompanying the Mustang will be flown by Maj Dan ‘Rock’ Dickinson of the 1st Fighter Wing at Langley Air Force Base, Virginia, following on from his spectacular solo demonstration of the state-of-the-art air dominance fighter. 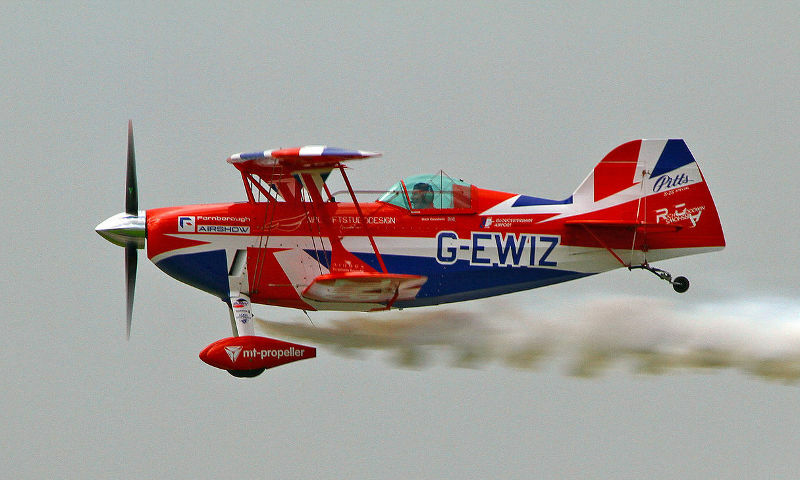 Get set to celebrate a decade of the dazzlingly brilliant Bournemouth Air Festival! Since the Battle of Britain Memorial Flight first flew at the 2008 Air Festival more than 8.5 million people have been entertained by almost 140 hours of display time performed by more than 55 teams and aircraft. 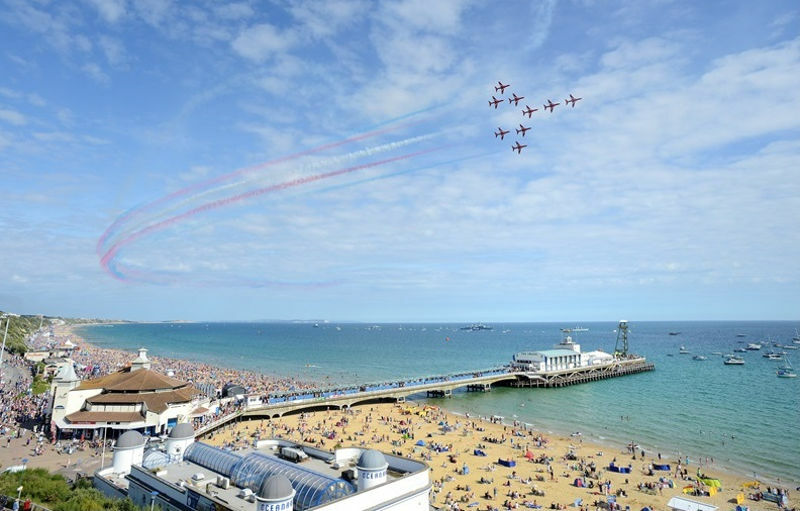 The skies of Bournemouth and coastal bay have also hosted and welcomed The First Sea Lord, flotillas of RN ships, beach assaults, record breaking display teams and pilots, European military aircraft and chart topping music acts…and this summer organisers have promised a bumper display programme. To celebrate the 10th Air Festival organisers are staging three shows on Thursday in the afternoon, evening and at dusk with the Red Arrows, supported by Morgan Sindall, kick starting the second of these shows at 6pm. This will be followed by their displays at 3.30pm on Friday and 12noon on Saturday. There will be more jets performing than last year with two twin jet display teams – introduced last year the Strike Master pair with the Vampire pair and also returning is the MiG. The much-missed Chinook is returning for the weekend and for those who missed them last year, because of the windy weather, the Great War Display Team and B25 Mitchell return as well. On Sunday there will be a special very vintage display day featuring the SallyB, Mustang P51 and The Navy Swordfish in addition to the vintage aircraft already announced. The Breitling Wingwalkers, Tigers Freefall Parachute Display Team (making daily jumps from an incredible 6,000ft and freefalling at 120mph), SallyB, Xtreme and Blades Aerobatic Display Team, complete the display programme to date. In the evening Night Air welcomes Royal Navy Beat Retreat Sunset Ceremony and Royal Marines unarmed combat displays (Fri and Sat), dusk flying displays from the Red Devils, Otto and Twister Duo – finishing with fireworks on Friday and Saturday. Completing the sky-high evening entertainment don’t forget the Red Arrows display at 6pm on Thursday. The ever-popular Night Air music entertainment will be announced early July. With brilliant day and night time entertainment on land, out at sea and in the air the 2017 10th Air Festival is certainly set to be the event of the summer! RNAS Yeovilton Air Day is all Set for Take Off! A truly special event marking the 70th anniversary of the Air Station’s and the Fleet Air Arm’s preparations for carrier operations is planned for this year’s Royal Naval Air Station Yeovilton International Air Day on Saturday 8 July 2017. 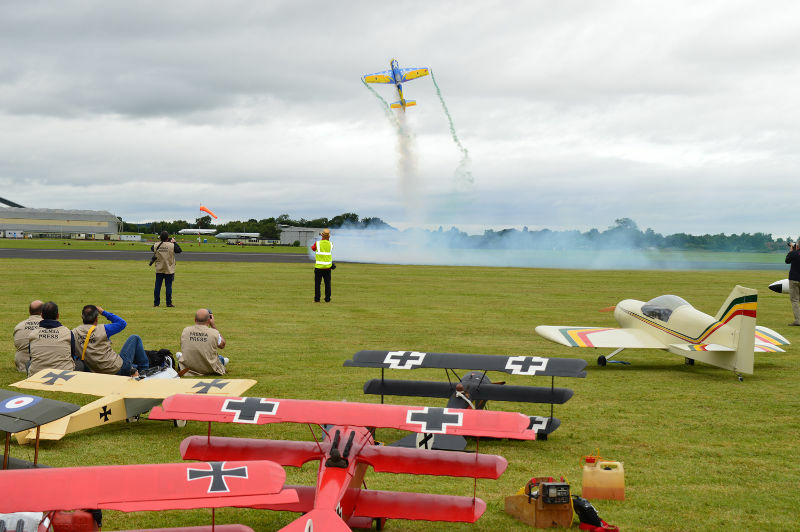 Five hours of incredible flying displays and extensive static displays will feature an array of fast jets, helicopters, historic warbirds that flew at the original Air Day in 1947 and an exclusive line up of international participants from ten nations. 70 years ago, the Swordfish and Sea Fury were quite a sight in the Somerset skies as they amazed the crowds at Yeovilton and fittingly these rare naval heritage aircraft will take centre stage once again. Their modern-day counterparts will also be providing a spectacular sight demonstrating the contribution made by naval aviation to Protect Our Nation’s Interests. Airshow favourites from the RAF include the Red Arrows, Typhoon, and Battle of Britain Memorial Flight to showcase the Best of Britain. While our military guests from across Europe will put on roaring displays, with the highlights being the French Navy Rafale pair, Belgian and Danish Air Force F-16s, Czech Air Force Gripen and a rare and dazzling appearance by the Swiss Air Force national display team – The Patrouille Suisse. Other allied nations will provide static displays offering visitors an opportunity to meet the aircrew and view the aircraft up close, with the US Air Force’s mammoth C-17 Globemaster a real favourite with children. Throughout the day, families will have the chance to enjoy plenty of ground entertainment. There’s discounted entry to the Fleet Air Arm Museum, hands on engineering fun for kids, interactive military displays, performances from military bands, classic and military vehicle exhibitions, funfair, simulators, helicopter pleasure flights, trade stalls and much, much more! Whether you’re a wide-eyed first timer or a seasoned airshow veteran, be prepared for a wonderful day out! Discounted advance tickets are available online at www.royalnavy.mod.uk/yeovilton-airday or over the counter at participating Tourist Information Centres. 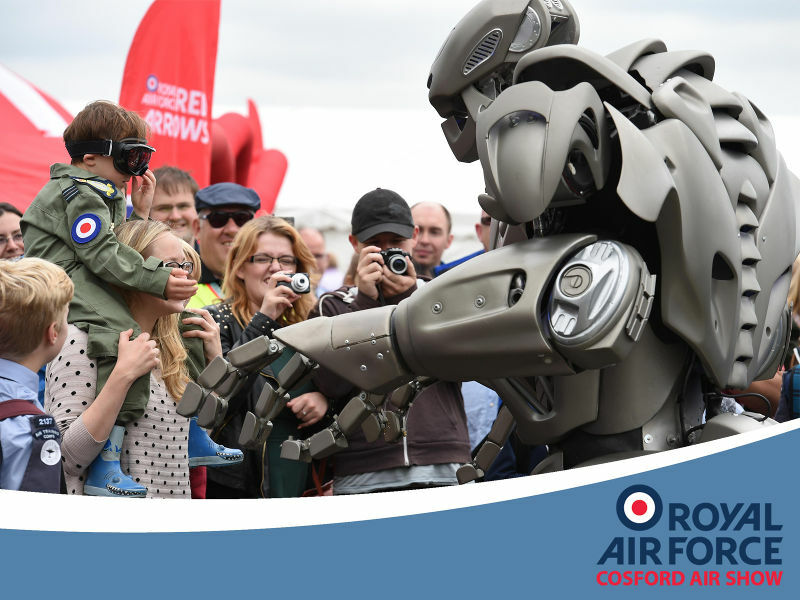 The RAF Cosford Air Show, held on Sunday, has been deemed a tremendous success with over 50,000 people streaming through the gates of RAF Cosford. The six-hour flying display, which included a diverse spectrum of aircraft ranging from the Red Arrows, 1930s warbirds and modern jet-fighters, has received rave reviews from both families and aviation enthusiasts alike. The Traffic Management has also been praised with traffic queues of less than a mile at peak times, and all members of the public having left the site by 7pm. The Hartree Memorial Trophy, awarded for the best flying display at the RAF Cosford Air Show, was given to the Swiss PC-7 Team for their immaculately flown formation display. Another display which provided international flair at the event was the A-200 Tornado, from the Italian Air Force, which was recognised with an award for its stunning paint scheme. The United States Air Force also sent a B-1B Lancer & B-52H Stratofortress which both flew past during the event, making extremely rare public appearances. 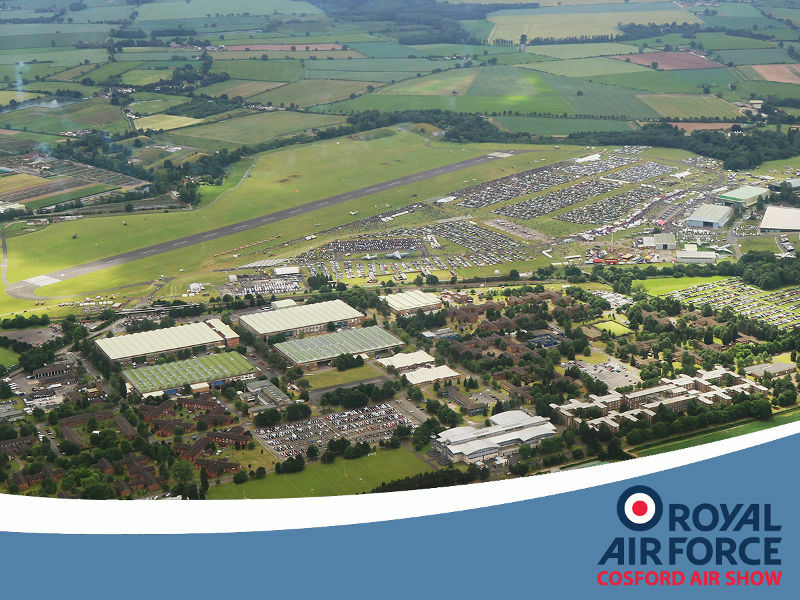 The RAF Cosford Air Show 2018, which will be held on June 10th next year, is the region’s official RAF100 celebration and will pay tribute to the past, present and future of the Royal Air Force. It is set to be another spectacular event, more details of which will be published in October. The McDonnell Douglas Phantom FGR2 is an iconic aircraft that formed a major part of the Royal Air Force’s combat aircraft strength for 23 years. We are now offering visitors the opportunity to sit in this fascinating piece of Cold War technology. We will be launching ‘The Phantom Experience’ on Armed Forces Day, Saturday 24 June. Each session booked caters for one individual and lasts approximately 10 minutes. Our wonderful volunteers will guide you into the cockpit and explain how the aircraft would have been operated. Tickets are £8 and available on the day. On the 24 June you will also be able to hear the stories behind the aircraft and those of the Service men and women who worked with it. There will be Phantom objects on display and a Spook Selfie Station where you can take your photo dressed as a Top Jet Pilot. From 1 July, the experience will run every Saturday, 11am – 3pm. Tickets will be £8 (with a 50p booking fee) and only available to purchase online through our website. Our Phantom has a remarkable history; it took part in a commemorative Transatlantic Flight and was painted in special colours. These colours celebrated 60 years since Alcock and Brown completed the first transatlantic flight in 1919. After the celebrations, the Phantom was painted in the colours of the 56 Squadron. It was brought to the RAF Museum London in 1992 after accruing over 5000 hours of flight time. It is now displayed with a full load of deactivated Sidewinder and Skyflash missiles, fuel drop tanks and a centreline Gatling cannon located the heart of the Historic Hangars. If you’re intrigued by this supersonic piece of cold war engineering then book your chance to experience it up close now! With the days until the Air Show at RAF Cosford seemingly flying by Air Show organisers are encouraging everyone to buy their tickets so they don’t miss out. On Sunday 11th June, the skies above Shropshire will be filled with the sights and sounds of aircraft from the hum of the Spitfire to the roar of the Typhoon. Other ground displays include the Space Hangar which will be demonstrating the advancement in Space Technology and how the United Kingdom has been at the forefront of the development. The Vintage Village will be a chance for visitors to take a trip back to the 1960s while the Battlefield Support Village will give them a chance to see what a Forward Operating Base looks like. The flying display is shaping up to be one of the best in the country with visiting nations including Italy and Switzerland sending a variety of aircraft including the PC-7 9 ship display team who will perform their stunning aerobatic displays to wow the crowds. Along with the international participants the Royal Air Force are showcasing the awe-inspiring displays from the Red Arrows, Chinook and the Battle of Britain Memorial Flight. With the Air Show rapidly approaching, organisers are reminding visitors that they are not able to purchase admission tickets at the gate. Air Show Tickets, priced £25.00, are currently available from the Air Show website and selected retail outlets including the RAF Museum and local Tourist Information Centres. Accompanied under-16s enter the Air Show for free, making the event a superb family day out. The RAF Cosford Air Show is an advanced ticket only event, for more details see www.cosfordairshow.co.uk. Academics, military enthusiasts and interested members of the public are being invited to attend two FREE forthcoming lectures this month focusing on two very different RAF subjects. 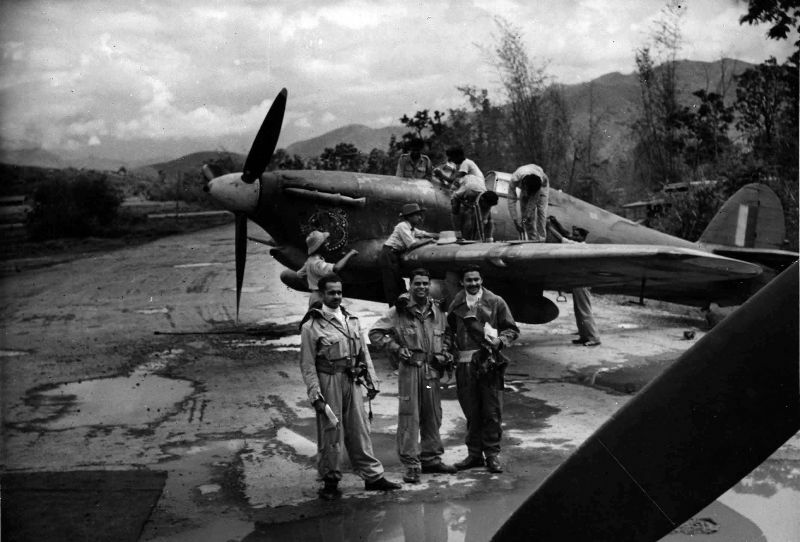 The lectures form part of the 2017 series of lectures from the Royal Air Force Museum’s Research Programme and will explore the expansion of the Royal Indian Air Force during the Second World War and the RAF strategic thinking during the latter Cold War years. The first of two lectures is being held on Thursday 8 June at the University of Wolverhampton and is a continuation of the joint partnership between the University’s Department of War Studies and the Royal Air Force Museum. This evening lecture commencing at 6.30pm will examine how the establishment of the Indian Air Force (IAF) in 1933 was a consequence of the colonial Government of India’s policy of handing Indians token military control to forestall popular calls for greater Indian control of the Indian armed forces. The lecture entitled ‘The Expansion of the Royal Indian Air Force in World War II, 1939-46’ will be presented by Aashique Iqbal, a DPhil candidate in History at the University of Oxford. In this lecture, Aashique will explore how the outbreak of the Second World War led to the reversal of earlier policies and saw the tenfold expansion of the IAF. Though the Indian Air Force would go on to perform well in the war, earning the prefix ‘Royal’ in 1945, the suddenness of wartime expansion had severe consequences. Plagued by a shortage of equipment and personnel the RIAF struggled to expand. Though equipment shortages were eventually overcome by Allied wartime production, personnel shortages remained a problem throughout the war. The RIAF responded to these in a variety of ways including drawing on foreign personnel, lowering recruitment requirements, increasing pay and embarking on the largest recruitment propaganda programme launched by any wing of the Indian military during the Second World War. The rushed expansion of the RIAF would have two key consequences. First, it would result in the RIAF strikes of 1946. Coming on the heels of the RAF strikes, the Indian National Army trials and the Royal Indian Navy mutiny, the strikes had a destabilising effect on British military control in the subcontinent. More critically it revealed the divide between Indian officers and ranks that had emerged during the war. Further, the process of ‘Indianisation’ or the replacement of foreign personnel with Indians remained incomplete as it became increasingly difficult for the RIAF to tap India’s limited pool of educated labour. This would have significant consequences, not the least of which was independent India’s reliance on British personnel to command the RIAF long after the achievement of formal independence. On Friday 16 June, Dr Viktoriya Fedorchak, a graduate of the University of Hull (PhD) will be presenting the second 2017 Cold War lunchtime lecture, being held in the lecture theatre at the RAF Museum Cosford at 12.30pm. 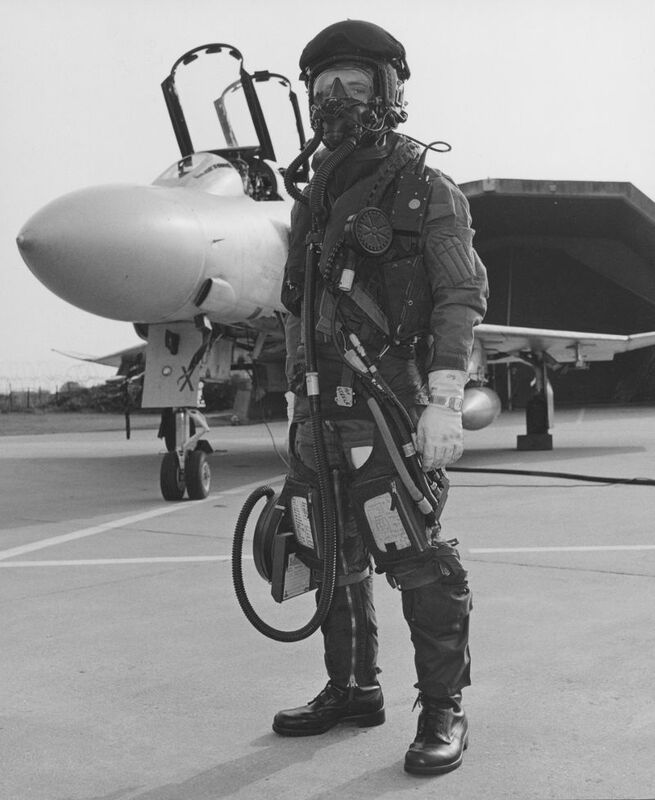 Entitled ‘RAF Strategic Thinking and Doctrinal Vacuum, 1970-1989’ Dr Viktoriya Fedorchak will look at the development of RAF air power thinking in the late Cold War period. The Royal Air Force has a long history of using doctrine in its practice. The first RAF doctrine Confidential Document (CD) 22: Operations Manual, Royal Air Force was published in July 1922. This document introduced the concept of strategic bombing and key principles of cooperation with the Army and the Navy. The Air Power (AP) 1300 series followed. The first edition of AP1300 was published in July 1928, followed by a further three editions (1940, 1950, and 1957). However, after 1957, AP1300 was reissued a few times without any substantial changes, thus paving the way to stagnation of strategic thinking and doctrinal vacuum. The first DDefS was then Group Captain Tony Mason. The primary aim of this talk is to look at the reasons why strategic thinking declined in the 1960s, and why the RAF had to establish the position of the DDefS. A connection is made between strategic thinking, the significance of a conceptual component for organisational development and the future of the service. In this talk, institutional scepticism of formalised conceptual framework in the studied time frame is also addressed. As spaces are limited to both lectures, organisers advise visitors to book their FREE tickets in advance via the Museum’s website to avoid disappointment www.rafmuseum.org/cosford. Additional information about both lectures and the Museum’s Research Programme is also available online. Visitors to the RAF Museum have the opportunity to see the RAF uniform worn by actor Tom Hardy in the film Dunkirk. “Dunkirk” is the new epic action thriller from filmmaker Christopher Nolan (“Interstellar,” “Inception,” “The Dark Knight” Trilogy) release on 21st July 2017. The film opens as hundreds of thousands of British and Allied troops are surrounded by enemy forces. Trapped on the beach with their backs to the sea they face an impossible situation as the enemy closes in. 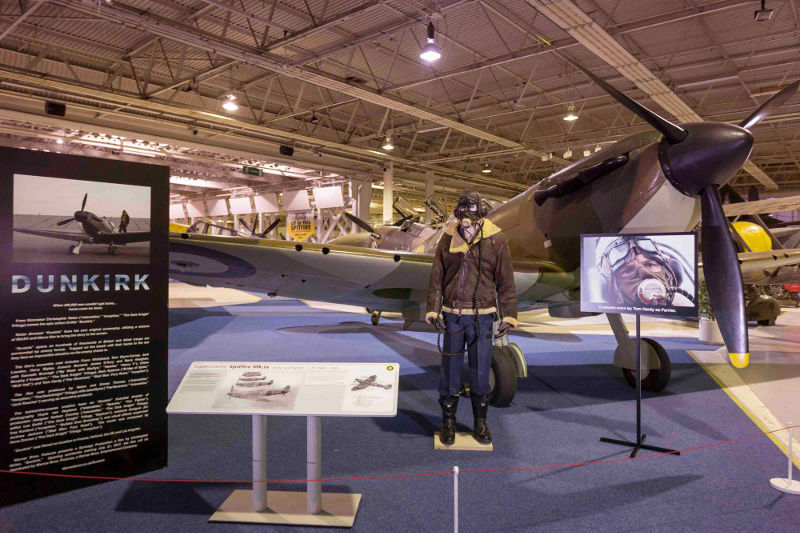 The uniform as worn by Tom Hardy is on display by the Museum’s Mk I Spitfire. 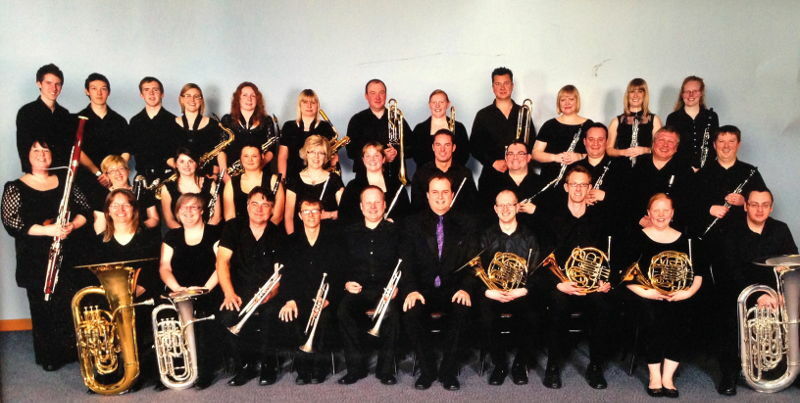 The Royal Air Force Museum Cosford will once again celebrate the contributions made by Her Majesty’s Armed Forces, by hosting an orchestra concert and a Battle of Britain Memorial Flight Lancaster flypast on Saturday 24 June for Armed Forces Day. The concert will take place in the Museum’s National Cold War Exhibition Auditorium with seating for up to 200 guests. Attendance to the concert is free of charge and as places are limited, anyone interested in attending is asked to pre-register now via the Museum’s website in order to guarantee their place.